Public-private partnerships (PPP) are widely used in many parts of the world as a means of undertaking large infrastructure projects. Such projects usually require specific technical expertise and significant financial resources. Therefore, for the implementation of such projects, national and local governments often attract private partners that possess the required knowledge and experience and are able to arrange for the necessary financing. Financing PPP projects involve three main funding mechanisms: government funding, equity contributions and debt financing. Debt financing can be attracted either through senior and/or mezzanine loans or by means of issuing debt securities on capital markets. Given that Ukrainian public finances are weak and the national capital market is not big enough to attract significant amounts of money, while international capital markets are not always available to Ukrainian issuers, bank loans appear to be the most realistic way of financing PPP projects in Ukraine. One of the most common and efficient arrangements for financing PPP projects is project financing. This type of financing usually takes the form of lending to a special purpose vehicle (SPV) designated to carry out the project. Project financing can be extended on either a non-recourse or limited recourse basis. In a non-recourse financing, the financiers rely fully on the cash flow generated by the project, whilst limited recourse allows the financing parties access to the assets of the sponsors or the Government. Since non-recourse project financing is a very risky enterprise, the lenders’ decision on whether or not to finance a project will normally be preceded by an extensive due diligence review and thorough consideration of the allocation of risks between the project parties. The “bankability” of the project will be determined as a result of such review and risk assessment. Until recently, due to underdeveloped PPP legislation and a lack of political will, it was virtually impossible to originate a bankable PPP project in Ukraine. Therefore, one can hardly name any PPP success story since the adoption of the Law of Ukraine On Public-Private Partnerships No. 2404-VI of 1 July 2010 (2010 PPP Act). Fortunately, the situation has been slowly but steadily improving in the past couple of years. The Government seems to have recognized the benefits that PPP can provide to the country and its economy. As a result, to motivate investors to commence PPP projects in Ukraine, the Government has undertaken certain reforms, including making certain changes to the 2010 PPP Act. Those changes, the most significant of which we discuss below, have made project financing of PPP projects achievable. When extending project financing to a project company, the lenders will expect such a company to be fully dedicated to executing the project and free from any historic liabilities. Therefore, the availability of a project SPV is of utmost importance for PPP financing. Nonetheless, prior to being amended in 2016, the 2010 PPP Act had stipulated that only the winner of a PPP tender, which would often be a significant local or international company, could act as the private partner in a PPP project. According to the latest changes to the 2010 PPP Act, an SPV created by the winner of a PPP tender can act as a private partner, provided that the winner retains, directly or indirectly, an interest of more than 50% in the SPV’s charter capital for a certain period of time, specified in the PPP agreement. In addition, even if the project is carried out by an SPV, the winner of the PPP tender will remain jointly liable with the SPV and will bear full responsibility for the due fulfilment of the PPP agreement. Another distinctive feature of a project finance structure is that the financing parties will want to take as much security for the financing as possible. Such security will normally comprise, amongst other things, security over shares in the SPV, charges over project assets and project agreements, security over insurance proceeds and project accounts. Given this, it is essential that applicable law permits the lenders to obtain such security. Ukrainian law recognises most types of security arrangements which are considered to be customary for PPP projects. Furthermore, as opposed to the previous version of the 2010 PPP Act, the current version permits the private partner to become an owner of the assets that it creates or acquires in pursuance of the PPP agreement. However, such assets must be transferred to the public partner before the relevant PPP agreement terminates. The ability of private partners to own project assets creates the necessary framework for implementing BOT (build-own-transfer) PPPs and establishing security over assets of such projects in connection with their project financing. For a project-financed PPP project, the lenders largely depend on the financial success of the project. Therefore, the lenders will want the private partner to duly perform its obligations under the PPP agreement. If the private partner does not perform its obligations in the specified manner, the financing parties should be in a position to step in the rights and obligations of the project company or replace the private partner with another party having the requisite experience to successfully complete and operate the PPP project. Ukrainian legislation permits the financing parties to be a party to a PPP agreement on the side of the private partner and initiate the replacement of the private partner if it underperforms under the PPP agreement. The procedure for such replacement is still to be approved by the Cabinet of Ministers of Ukraine (CMU). However, pursuant to the currently available draft of the relevant regulation, a replacement partner will be determined though a tender offer procedure. If the CMU adopts the final regulation as currently drafted, this will likely exclude the possibility of the lenders “stepping into the shoes” of the relevant failing partner or nominating a replacement partner in their sole discretion by way of exercising their rights under the available direct agreements or security over project contracts. Unfortunately, when the latest changes were introduced to the 2010 PPP Act, market participants did not manage to persuade MPs to provide a more flexible step-in mechanism in the law. In a project-financed transaction, the lenders will also want to ensure that the financed project performs as expected and the cash flow it generates is sufficiently protected. Therefore, in developing countries such as Ukraine, where project risks are usually higher than in developed countries, it would not be uncommon for private partners and financiers to require some sort of state support for a PPP project. The State of Ukraine can support a PPP project in a number of ways, including by granting sovereign guarantees, paying completion fees or acquiring a minimum volume of goods produced or services rendered under a PPP agreement. Furthermore, if the prices for goods or services produced or rendered under a PPP agreement are subject to state regulation, the state is required to ensure that such prices include an investment return component sufficient to reimburse the private partner for the investments made in the PPP project. 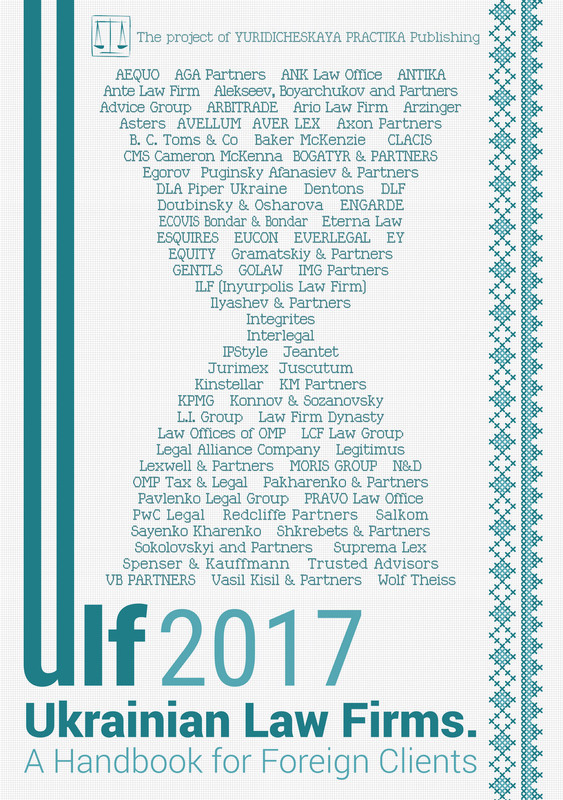 In order to provide prospective investors and project financiers with additional comfort in undertaking PPP projects in Ukraine, Ukrainian PPP legislation has been amended to specifically allow the parties to a PPP agreement to submit any disputes arising under such an agreement to arbitration in a foreign arbitration court. In addition, the 2010 PPP Act now explicitly permits the state to waive its sovereign immunity in PPP agreements in which the CMU acts as a public partner. Despite the significant progress made by the Ukrainian Government in improving national PPP legislation and making PPP projects more attractive for big international players, a great deal still remains to be done. Infrastructure, including motorways, power lines and pipelines, remains a heavily regulated industry. This, together with the existing restrictions on private ownership of certain infrastructure objects, makes the implementation of PPP projects in this field difficult, requiring detailed planning and consideration. That said, current Ukrainian PPP legislation provides prospective private partners and financiers with the minimum required instruments for undertaking PPP projects and arranging financing for such projects. Some international financial organisations are already assisting the Government to execute a number of pilot PPP projects in order to test and improve available PPP regulations and to create success stories that will increase confidence among investors. Given this, and taking into account the growing political will to develop PPP in Ukraine, the country has all the prerequisites for seeing more successful PPP projects in coming years.